I have been barking about cork floors for years and all of the sudden the rest of the world seems to have caught up with me. Well, I wouldn't go that far, but I'm hearing a lot of noise out there that agrees with my opinion of the stuff. Tim Carter writes a syndicated column called Ask The Builder that runs with some regularity in The St. Pete Times. Here was his column from yesterday's paper. Q: I'm interested in cork flooring planks and wonder if it's really as good as the salesmen tell me. Because money is very tight, I'm looking for a discount cork floor. A local carpet store is having a cork flooring sale soon, so now's the time to make a decision. Do you have experience with this material? If so, would you install it again in a home you'd build? Is it as durable as they say? How do you protect it? Is it easy to clean? 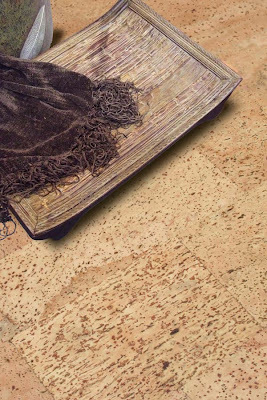 A: I understand your doubts about whether cork flooring is really a suitable material to walk on day in and day out. After all, when you hold a cork from a wine bottle in your hand, you can see it's somewhat friable. In comparison, a piece of oak seems impossible to break apart or chip. I had my doubts, too, until I saw a cork floor. About 35 years ago my father-in-law took me along for a ride to visit a business partner. When we walked into the kitchen, I saw the strangest floor. It was cork kitchen flooring, resembling the deck of a ship, with planks that were very long and about 8 inches wide. When I asked what kept it from disintegrating, the man said, "Son, you don't have to ever worry about this floor wearing out." I later discovered that cork flooring was used in many commercial and institutional buildings that receive heavy foot traffic. You don't have to worry about durability if you purchase a high-quality cork floor. To give you another example of its toughness, I installed cork plank flooring tiles on the steps that lead to my basement. Steps are a great place to test flooring as your foot typically slides on the tread surface as you climb. My basement steps got heavy traffic because our home office was downstairs. Countless trips were made up and down these steps, which were not vacuumed that often, adding grit to the equation. Just yesterday I cleaned these steps, getting them ready for an open house. They looked the same as the day I installed them 10 years ago. I owe much of this to the toughness of the cork, but also to the fact that I coated it with five coats of high-quality urethane. Another thing that helped the cork on my steps was the custom oak nosing I installed. Because I knew shoes would be sliding onto each tread, I had the top piece of oak milled so that it was 1/64th of an inch thicker than the thickness of the cork planks that were glued to the steps. This prevented the shoes from wearing away the front edge of the cork on each tread. I used clear water-based urethane on the cork on the steps and on the floor in the entire basement. It was easy to apply and is easy to clean. I just use regular liquid dish soap and water to clean up spills. For regular mopping, I add 8 ounces of white vinegar to 2 gallons of warm water. You can read more from Tim Carter on his website Ask the Builder. With that ringing endorsement in mind, I have two cork floors being installed in two projects in the next few weeks. Both jobs are getting a wide plank, engineered floor from US Floors in Georgia. Job one is getting a floor called Cleopatra. Job two is getting a floor called Merida. I can't decide which one I like more. US Floors has really broadened my horizons when it comes to the flooring I specify and cork's rapidly replacing my former knee jerk use of travertine. 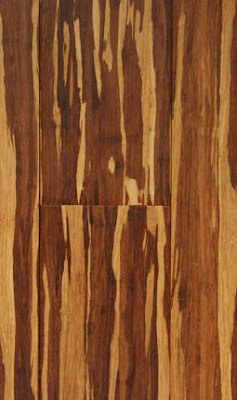 US Floors also sells flooring made from bamboo and oil-finished hardwood. Check out this floor sample. Now guess what it's made from. That's bamboo pretending to be tiger wood and I will not rest until that ends up in one of my projects. I have never seen anything like it. Well, I have. It's just that it was real tiger wood. Anyhow, back to cork. What do you guys think? Anybody out there already have it? Care to share a story? I'm currently wrestling the cork floor/hardwood dilemma. I used glue down cork tiles on two bathroom floors in Europe ::cough:: twenty years ago. They were hardwearing, soft and warm and perfect for a mid-century house. Fascinating post - just yesterday this topic came up when talking with a few people at Americasmart. We are looking for a good flooring material for our basement - stone is pricy (and very hard on my husband's back), real wood might buckle if placed in a basement, laminate - my designer is not excited about it. Cork is definitely something I am going to look into - my architect said it is great for those with bad backs. Have you ever seen these in person Paul? Jane: I used cork from US Floors. US Floors has about 20 distributors in and around Huntington. 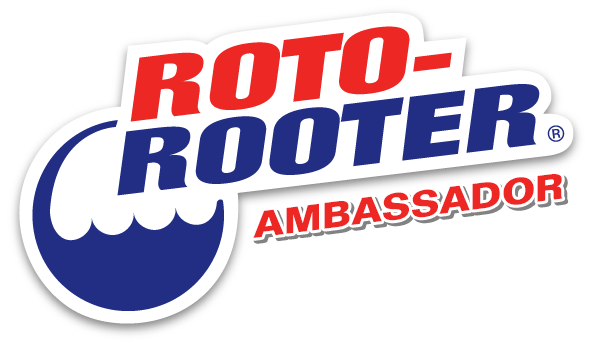 If you use their dealer locater: http://www.usfloorsllc.com/dealer-locator/, and find someone nearby who's a distributor, they will be able to refer a qualified installer to you. Good luck! Things: Cork would be perfect for your basement. It's naturally mold-resistant too! Look into it, the options in that category are staggering. 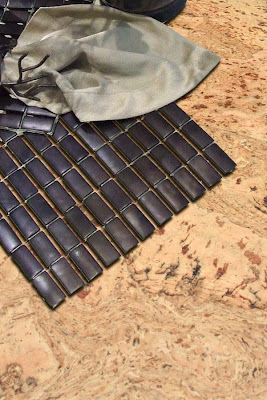 Sharon: I have never seen them in person but they will be at a tile and stone trade show I'm attending next month called Coverings. I'll report back what I see. Thanks for the reminder. As I will be replacing my now ceramic kitchen flooring , I am hoping you will have more feedback on this subject. Replacing it with cork or both. I have not shortage of opinions on either. Surprise! I'm scared of using cork in my house with dogs underfoot. I just don't see how it would hold up under dog nails and high heels to boot. My floor guy agreed with my concerns. So, I chose hardwood. It will still get damaged but at least can be refinished? Rachele: Welcome back! Your name got invoked last week during a discussion about kitchen desks and I was waxing poetic about your kids art center in your kitchen. The People want to see it. As I understand it, cork floors do well with high heels. Dog claws can be their Achilles' heel though. You have to keep a dogs nails clipped with cork floors. Under normal circumstances they're OK, you just can't let them go. It will probably not come to any surprise to you :) I am not sure yet what I am going with. I do like ceramic namely because it is easy maintenance (grandchildren, husband, a dog) but I am also taking in consideration Real Estate value if/when we put our home up for sale. Sounds like a post is in order. Brenda and Richard: I have yet to hear a negative thing about cork floors. It's been a popular material for centuries for a very good reason apparently. It's important to remember that although cork's enjoying a resurgence now, it is not a new material by any stretch of the imagination. I'm guilty of not using cork. I've had a visual of a misplaced bulletin board that has kept me at bay. In fact, remembering cork floor tiles in years past used in commercial spaces that looked horrendous. Just looked at http://www.corkfloor.com/. I think I'd be more willing to give it a try. They've really made it look fantastic and the benefits are HUGE compared to anything else (flooring-wise) I've seen. I'm with you Pam, it's amazing stuff. About the last thing it reminds me of is a bulletin board. The geometric patterns you linked to are stunning. We will have to replace the existing travertine throughout our house in a few years (not properly installed ages ago). I would love to put cork in, but I'm afraid it would impact our resale value negatively. Raina: Any potential buyer who has an issue with cork isn't our kind of people so I wouldn't worry about it. I am in love with the cork mosaic you listed in another post. I'm looking for cork to install in my kitchen and I just may have a winner. I have a friend who has cork tile in her kitchen and loves it. They have not had problems with their dogs as scratches don't show on cork tile because the color runs through the entire tile. (I don't know about the plank products.) They refinished it this year (after 10 years)in conjunction with a remodel and it looks lovely. The planks are even more resilient than the tiles, look into it! What about cork flooring in a mobile home re-do project? 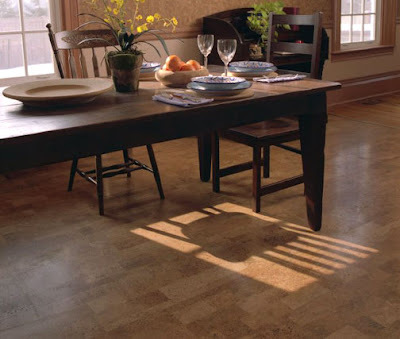 Ten years ago we put cork tiles from Natural Cork (now called US floors, I believe)in our kitchen, family area, bathroom, and two entrances (all one large unified area), as well as upstairs in our master bedroom/bath.) We were remodelling an older home. I LOVE the cork! It is quiet, soft underfoot for working, and dropped dishes and glassware rarely break unless they hit something else as they fall! It is also warm underfoot. However, our Old English sheepdog has destroyed the surface BIG Time in 3 years. The O.E.S. that we had prior to our current dog for 3 years did some damage as well, but it's really looking rough now. There is also wear around the seams and big-time damage from the chairs scooting back and forth at the kitchen table (worst under my husband's chair--he is a big man.) We live in the north with plenty of snow, so that is another issue in the wintertime with melting snow at the entrances that I have to keep tabs on as well. I knew when I got it that the melted snow would be an issue at the entrances, but wanted to keep the flooring uniform throughout that area. My question now is what to do for replacement. I really LOVE the cork, for all the reasons stated. It has worn fine upstairs in our bedroom and bath. We were not advised to put urethane on it when we purchased it, just a Protectcoat (Acrylic and wax resin in water) every 6 months, and I must confess I usually only have done it annually. I have no immediate plans of replacing the floor with our much loved dog here, but somewhere down the road I'll have to decide, so I'm thinking and hoping that it is getting more durable and something will be found to protect this Achille's heel problem. Anon: Cork from US Floors has come a long way in ten years. So much so that their floors now carry a lifetime warranty. Still, you do have to use casters on furniture and keep your dog's nails trimmed. I specify cork's use a lot and so far I haven't had an issue. 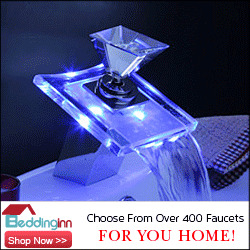 Look over their product mix and you'll see that they have a host of options available to you. Paul do you have any idea if that's the Pedras from the Eco Cork collection in the first picture? Thanks for you blog! It's why we've chosen cork for our new house.